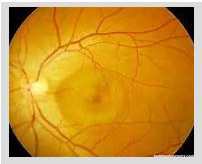 A Great Mimicker: Endophthalmitis or TASS Syndrome ? 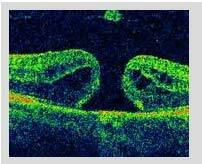 Posted by Pia Allegri and Ugo Murialdo on Jun 29, 2017 in 1-ENDOPHTHALMITIS - Additional Considerations, 12:00 – 12:40 Papers, 2017 EVRS Congress – Florence, 4-Sunday, September 17 | Comments Off on A Great Mimicker: Endophthalmitis or TASS Syndrome ? 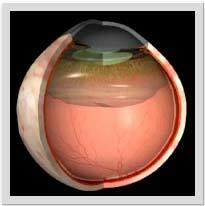 Toxic Anterior Syndrome (TASS) is a rare sequela of uncomplicated anterior segment surgery. TASS is an acute sterile anterior chamber inflammatory reaction which develops 12-48 hours after intra-ocular surgery and corresponds to the activation of the inflammatory cascade in response to foreign substances introduced into the eye during surgery, such as bacterial endotoxins or particulate contamination of balanced salt solutions, intraocular irrigating solutions with abnormal PH, osmolarity or ionic composition, viscosurgical devices, intraocular medications (antibiotics in the irrigation solutions or intracameral antibiotics), not adequate sterilization of surgical instruments, metallic precipitates. The condition is usually responsive to topical steroids, but differential diagnosis with acute onset infectious endophthalmitis is essential. We describe the clinical characteristics of 35 consecutive cases of TASS, reported in our Department from June to July 2015 (about 45 days) and how we successfully discovered the cause of TASS. 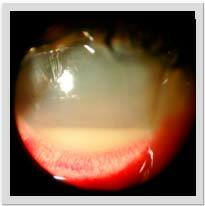 First 5 cases followed from 24 to 48 hours an uncomplicated cataract surgery and were characterized by anterior fibrinous uveitis with spider web aspect of exudation in anterior chamber. The suspicion of TASS was high, but in any case we performed, in 3 cases, an aqueous humour tap in search of both aerobic and anaerobic bacteria and a fungal culture; they resulted always negative. We stopped the surgery and changed many of the surgical materials, including gloves, instruments, liquids and site of sterilization and eye-drops, but the TASS randomly re-appeared in some patients. We also tested the visco-surgical substances but in many affected patients it seemed we used different lots and substances. After 35 cases we closed our surgery for one month and tried to find what was happening in our surgery. We decided to put in an Excel file all the data and materials of the cases and we discovered that in 32 eyes (91,4%) we used the same 1.6% hyaluronic acid lot (N239C Ophtheisbio, Aptissen S.A.). The Company answered to our complaints that their manufactory process does not present any anomaly related to our problems. In any case, after changing the viscoelastic substance, nothing happened in our surgery until now. 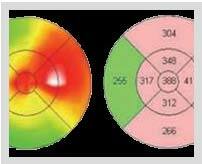 Among the 35 affected eyes 7 eyes reported pupillary abnormalities (deformation and reduced kinetics) and 4 eyes a long-time persistent corneal edema. 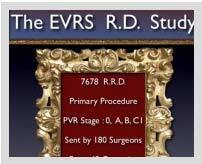 Our case-series is, at our knowledge, one of the largest documented report. Our experience shows that TASS although rare can be present in our routine surgery and, at the beginning, confused with acute post-op endophthalmitis.